When Flora first cradled her newborn daughter in her arms, she was struck by the dramatic contrast between their skin tones. Against the warm brown of her mother’s complexion, baby Grace was a light, flushed pink. Unusual, Flora thought, before dismissing it. She knew her baby would change dramatically as she grew. Later, Flora would shave the downy baby hair on Grace’s head; a Tanzanian ritual. When Grace’s hair grew back, it was the color of pale straw. That was the moment it hit Flora. Her daughter may have albinism. 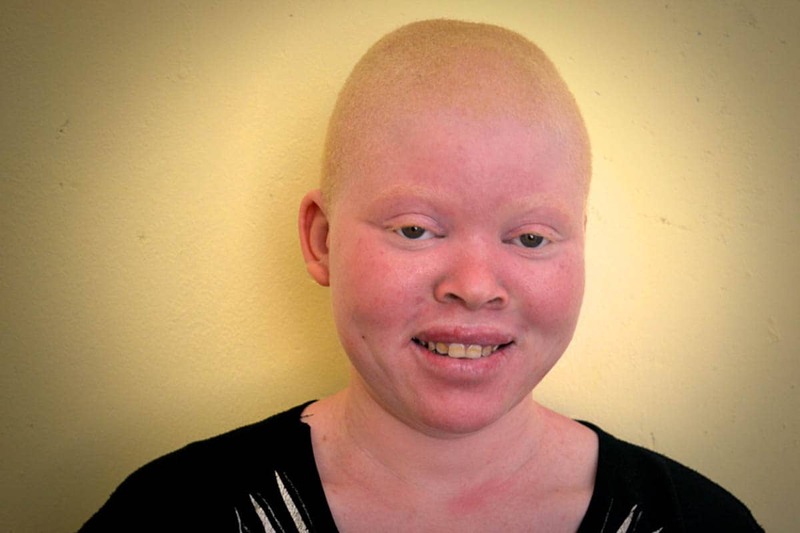 In Tanzania, having albinism can be fatal. The genetic condition affects the body’s ability to produce melanin, which is responsible for the coloring in skin, hair, and eyes. Most people with albinism also have some degree of vision impairment—melanin is essential for normal eye function. But the sinister danger doesn’t come from health complications. The threat comes from people themselves. Across Africa, witchdoctors peddle the belief that potions made from the body parts of people with albinism are powerful good luck charms. The Red Cross reports that these ‘traditional healers’ are prepared to pay up to $75,000 for albino body parts to make these potions. According to the United Nations, nearly 80 people with albinism have been killed in Tanzania since 2000; more than 200 across Africa. The horrific practice is thought to have claimed even more lives, with fears that many deaths go unreported. With a bounty so high, some of the perpetrators are believed to be the victim’s own families. The Tanzanian Government has escalated its efforts to crack down on the practice. Last year, witchdoctors were outlawed in an attempt to curb the killings; a taskforce was created to investigate and prosecute them. Schools and protection shelters for children with albinism have also been established in parts of the country. The media, too, embarked on a vigorous campaign to educate people on the rights of albinos, and society’s responsibility to protect such a vulnerable group of people. Grace is one such person. Today, she is 19 years old. 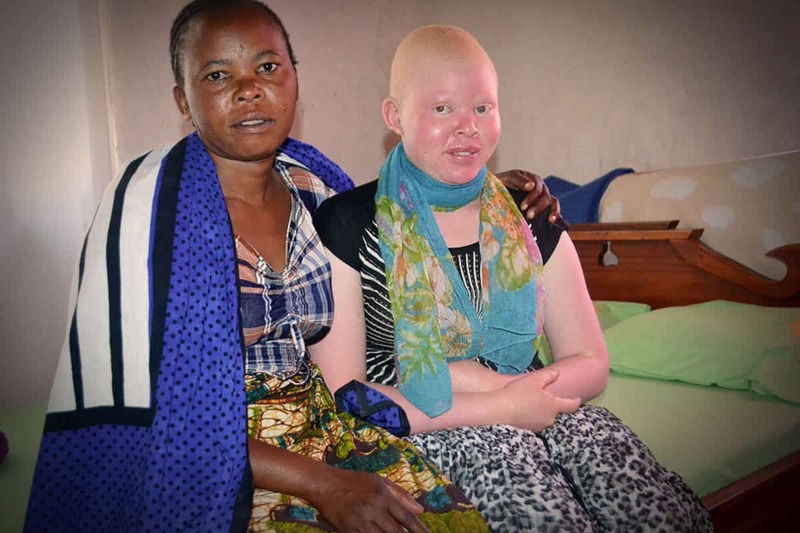 Though Grace is well aware of the dangers that her albinism presents, she isn’t afraid. 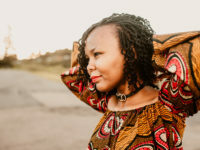 It’s true she lives in central Tanzania where attacks have been scarce, but more importantly, she is registered with Compassion as a Highly Vulnerable Child. When Grace was a baby, her mother, Flora, and relatives embraced her, but the news of her albinism was too much for her father. He disowned his daughter, saying she couldn’t possibly be his biological child because there were no others with albinism in his clan. Though he initially stayed with Flora, he later walked away. Raising three children on Flora’s single income was tough. Selling fruit and vegetables at the market wasn’t enough to support them and provide for Grace’s ongoing medical needs. Being sponsored through Compassion has made a significant difference in Grace’s life. Each month, Grace receives lotion for her skin, plus food, clothes, new glasses, her school fees and medical attention when she needs it. But the support is more than practical provision. 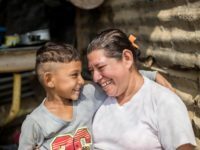 Compassion child development workers like Florencia teach Grace about her value and worth, building up her self-confidence. Florencia also speaks with Grace’s teachers at school to make sure she has special support, like being seated in the front row of class so she can closely follow the lesson despite her limited vision. The support has seen Grace grow into a strong young woman with a passion for justice. She wants to be a lawyer, and is studying hard at school to achieve her goal. “I would not have been able to reach where I have reached if it had not been for [Compassion’s] support. May God richly bless you,” says Grace. The future Grace sees is limitless. She’s striding towards it with her head up, shoulders back, and a smile on her face, secure in the knowledge she is loved and protected. 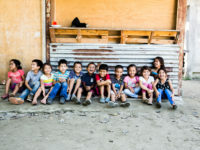 Compassion sponsorship means each individual child is known, loved and protected. Children who are especially at-risk, like Grace, are registered as Highly Vulnerable Children which provides them with extra protection and attention. This story originally appeared on the Compassion Australia blog. Written by Charles Ngowi and Zoe Noakes, Photos by Charles Ngowi, Sources: BBC News, United Nations, Red Cross. Love seeing that smile on her face! And how great that she wants to be a lawyer- with Compassion it is possible! !